The 1901 census was taken on Sunday 31 March 1901 and recorded every man, woman and child alive on the island of Ireland on that date. It is the first full all-Ireland census available to genealogists (records from earlier censuses were almost completely destroyed). You will be pleased to know that the 1901 census records are freely available at the website of the National Archives of Ireland. They are fully indexed and can be searched under myriad criteria, and both transcriptions and original returns can be viewed without charge. It is also available (free) via Ancestry and FindMyPast. In both cases, you need to have an account, but do not need a subscription. On census night, the young man who was to become one of Ireland's most celebrated writers, James Joyce, was living with his parents and nine siblings at 8 Royal Terrace in the seaside resort of Clontarf, County Dublin. While the recorded age of each person listed in the returns should be treated with a little caution (it is often under-estimated), it may help you pin down a baptismal record or civil birth registration simply by narrowing down the range of years you ought to check. Similarly, the age of the eldest child may suggest the latest likely year for the marriage of his/her parents. Again, this could lead you to a record of a wedding ceremony, either in the parish registers or in civil registers. Don't rule out this census just because your ancestors had left Ireland before 1901. There may well be other family members - grandparents, parents, siblings, cousins - who remained in Ireland and might be found in the returns. A number of different forms were used for recording details, but Form A is the most interesting for genealogists because it lists the personal details of each household. 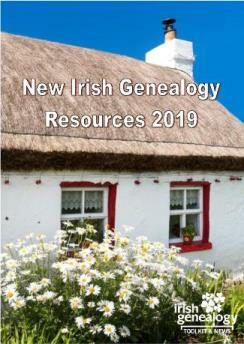 It holds a wealth of information to aid your Irish ancestor search. Download a blank Form A to record details from the census returns when you're viewing them online. See Related Pages box. There's more in-depth information about Form A on the Census Forms page. See Related Pages box. 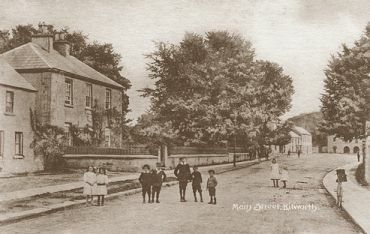 Discover here which Irish records burned, and which survived, and how this may impact your Irish family history research.